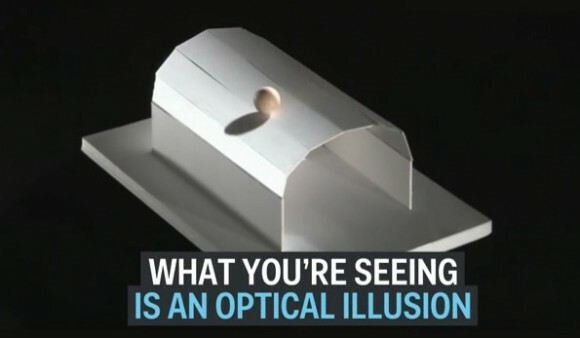 VIDEO: Some Gravity Defying Amazing Optical Illusions! Each of the illusions in this video involve balls being placed on a structure. The balls seem to defy gravity and all laws of physics and settle at what appears to be the highest point of the structure. There’s actually really no explaining these amazing optical illusions in words, though. You really have to see them in action! Check out this video from Entertainment World Unlimited and prepare to be amazed! Not only will you watch what appears to be the impossible, but you’ll also get to see how this professor made the seemingly impossible…well, possible! Those were some pretty amazing optical illusions! But, one of my favorite video illusions is still the Kat Von D face projection mapping! Next WOW! How to Draw a 3D Hand!